Perhaps some of those might receive a review at some point, so stay tuned! And without further ado, here is a selection of some of the things I was enjoying throughout June. I have to say, my favourite film I saw this month was probably Wonder Woman (2017). For more information on that, have a look at my review! You’ve probably heard it all before, but it’s significant to acknowledge that a female-directed, female-led action slash superhero slash graphic novel film is doing extremely well, and was an excellent film. 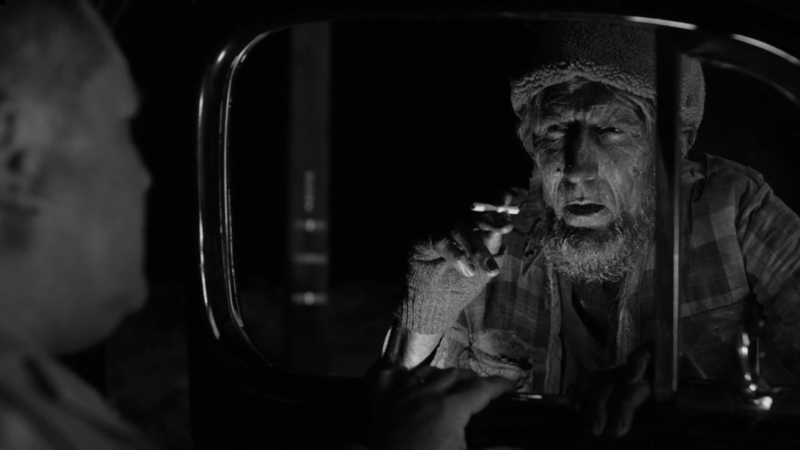 It goes without saying that probably my number one favourite thing this month, however, has been TWIN PEAKS SEASON THREE. Yes, I am now a married woman, but I have probably never been more in love with anything in my entire life than this Twin Peaks revival. Perhaps some may call that hyperbole, but watching the eighth episode was what I would call a legitimately borderline religious experience. Just exquisite. 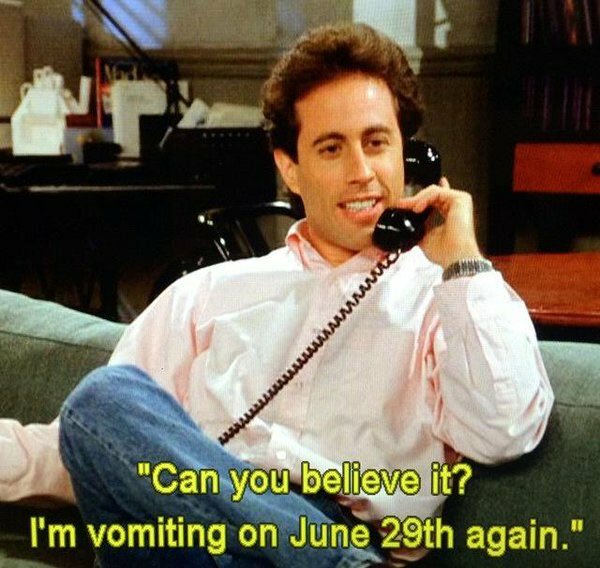 Happy Jerry Seinfeld vomit day for June 29th! Since the magnificent Australian online streaming service Stan streams all of the seasons of Seinfeld (as well as Twin Peaks), I’ve been bingeing Seinfeld whilst doing household things such as washing the dishes and doing the laundry, and I’ve been loving it. Some of the humour is very dated, but there’s something just comfortable about watching it whilst doing other things. So Seinfeld is definitely an old school favourite of mine for June. 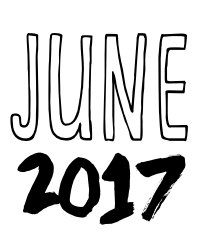 That’s basically it from me for June favourites this year. A bit thin on the ground, yes, because I unfortunately didn’t have a lot of time to spread the WordPress love either. So, what were your favourites this month? Do feel free to link anything below that you think I might like, whether it’s one of your own reviews or a film recommendation! Ha. My latest post is about that show, and my favourite ever argument any of the characters ever had. I love Seinfeld so much. I’ve binged all the way into season five now. I know the quality dipped a bit by the end, but it’ll always be one of my favourite shows. Season 5 may well be my favourite series of the 9. Puffy Shirt, The Mango, The Opposite and The Marine Biologist. I didn’t think the later ones dipped as much as others seem to. Some fab episodes. The Chicken Roaster, The English Patient and The Merv Griffin Show are fab. The Strike (Festivus) too. You should read the Seinfeldia book. Some great anecdotes and extra info. Nice update – good luck on the podcast! Thanks heaps John! It’s been a lot of fun. Thanks Vinnie, it’s fun to celebrate the good things at the end of the month! And you always do it with serious style. I only just finished season 8 of RPDR! So good! You have All Stars 2 and season 9 to look forward to!